Sportsbetting.ag years ago focused on sports wagers only. 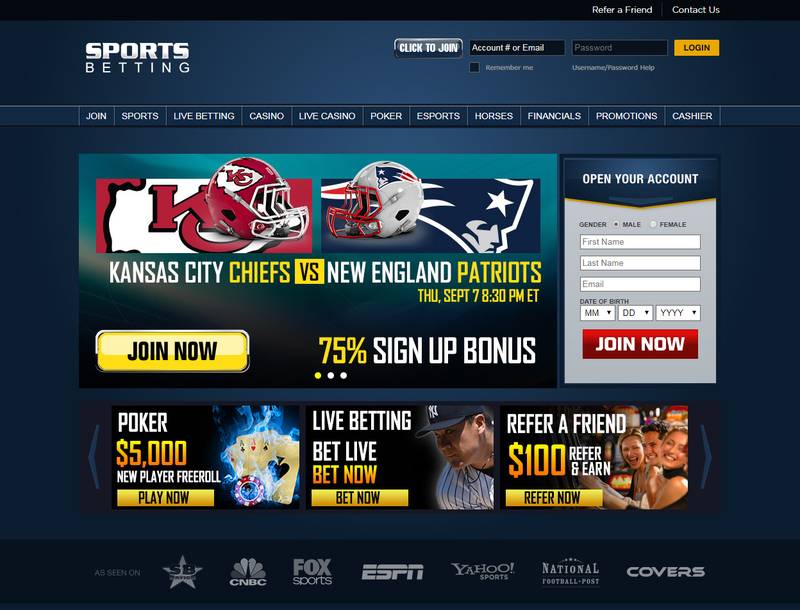 Over time, the sports betting site adds more ways for a player to bet with their money. This includes various casino titles from popular game makers and a finance bet where you can wager on the movement of a currency. But one of its gambling games that go well with its sports bet offer is its Bitcoin poker titles. The sportsbook first made use of the poker room via the Chico network. The poker room works as intended where players can easily connect with each other. However, the graphics and UI looks like it comes from early 2000. 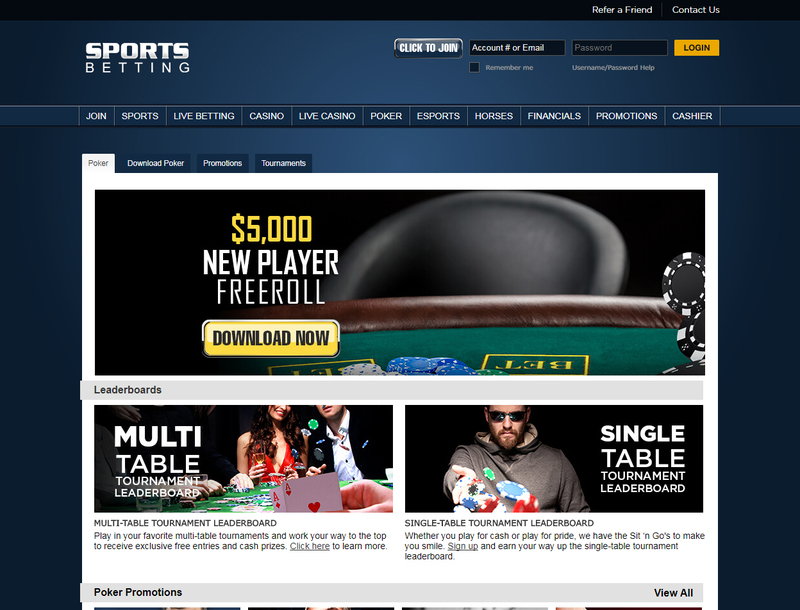 The website upgraded its poker room in 2016 to gives it a more modern look. Bitcoin poker room reviews have given the current poker room of Sportsbetting.ag the thumbs up. See if this review will do just the same. 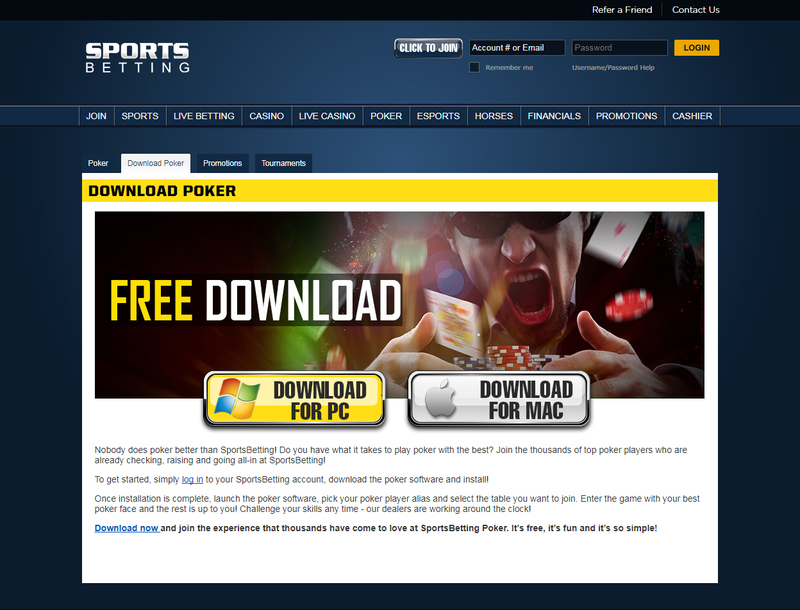 Sportsbetting.ag uses Connective Games poker client. The online poker Bitcoin room offers Texas hold’em, Omaha, 7 card stud, 32 card draw, and Americana games. This gives you more variety to pick from. 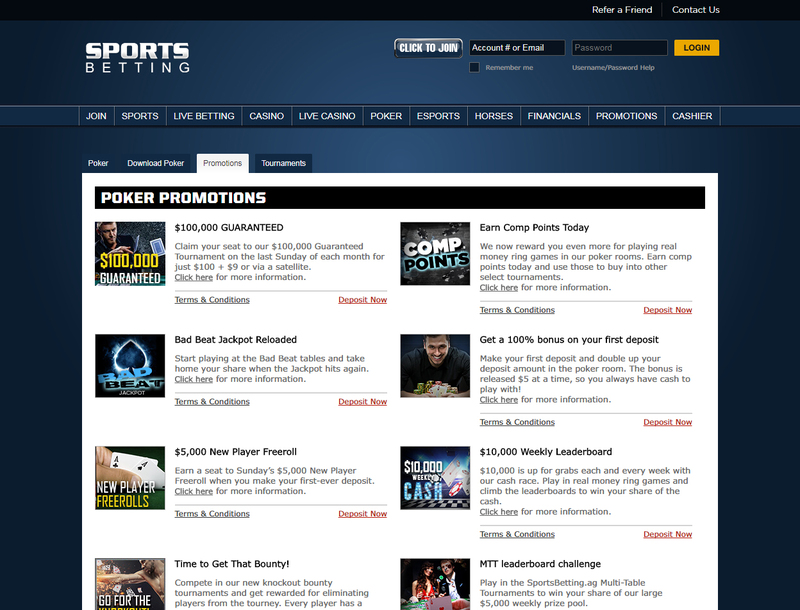 The poker client of Sportsbetting.ag will give you plenty of info on the poker games via the lobby. This info includes the average pot and flop numbers. You can use this to find loose cash tables. Thanks to the upgrade, the graphics of the client look better than before. This is due to the vector-based software that offers a sharp resolution no matter the size of the window. You can also change the color scheme and the theme of the cards. Sportsbetting.ag offers a 100% Bitcoin poker bonus to new player’s first deposit. To get this bonus, you need to send the site an email and ask for the 100% bonus match. The support team will give you a $5 part of your bonus for each 1,500 comp points that you earn. You will need to use your full name, home address, contact number, and other personal info to make an account. If you need help with anything, you can get in touch with a support staff via phone, live chat, or email. The customer service team is available 24/7. Sportsbetting.ag lets you use your Bitcoin for its poker room. The smallest amount you can send in is $20 while the largest is $25,000. You can also withdraw your winnings to your Bitcoin wallet. The smallest amount you can take out is $20 while the highest is $10,000.